Now That’s An Ice Sculpture! This photograph by Nathan Carlsen is a finalist in the 10th Annual Smithsonian Magazine Photo Contest. 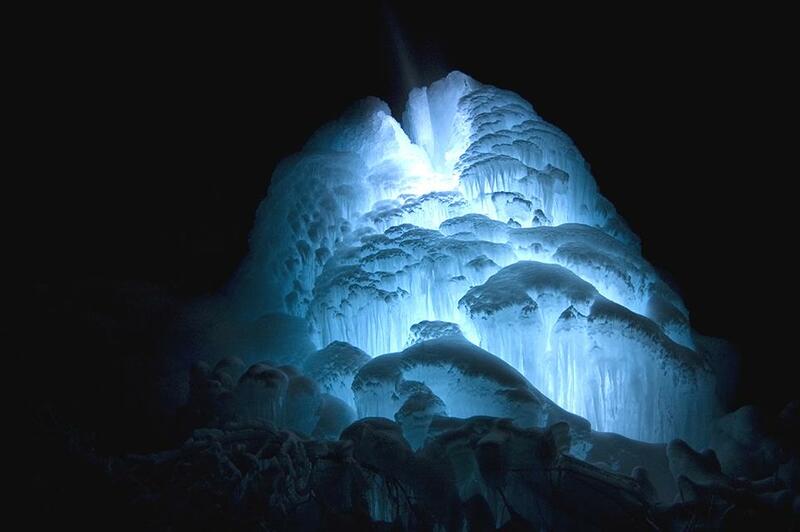 Carlsen calls it a “man-made ice geyser,” created by a water pipe that is “bled” every year to keep it from freezing. Carlsen had the idea of putting LED lights into the center of the ice mass and then shooting this picture. Syracuse does not stay cold for as long as Duluth, Minnesota, home of the ice geyser, but surely we could achieve some interesting landscape effects with ice and snow?? I had a similar post, Tracking Ideas Over Time, where I looked at ecological planning/land use planning terms. Interesting to see the ecology subfield comparison. That tiny speck is Venus, as seen through Saturn’s rings. Captured by NASA’s Cassini spacecraft. This enchanting image was taken by a staff photographer, Alan Spearman, in my hometown newspaper, the Memphis Commercial Appeal. Alan is also an award-winning documentary filmmaker. It has been a couple of decades since I lived in Memphis, but hometowns always have a pull on your heart, don’t they? In this case, it is a poignant, even painful, pull on my heart. I discovered Alan’s work on a chance visit back in January to the Commercial Appeal’s website. I have been haunted, in particular, by the film As I Am which won a “Top 12 of 2012” Vimeo award among other awards. 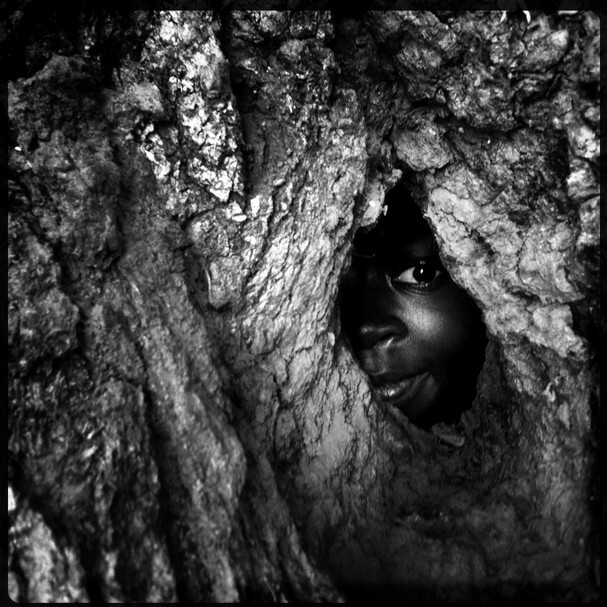 If you follow the link above, be sure to scroll to the bottom for the video of the tree, April, and her friend, Faith. Landscape plays a prominent role in Am I Am. It is a landscape of poverty that lies just south of Downtown Memphis. It would be easy to produce a film of Memphis downtown revitalization that would prompt envy among city planners and urban designers (perhaps). There is nothing to envy about the world that Alan Spearman depicts. Urban poverty in the U.S. is not really acknowledged, but it occupies a significant footprint in every American city. From my perch in academia, I cannot help but see another incongruity – the fact that “urban ecology,” “ecosystem services,” and other concepts are the fodder for academic inquiry, but what actually constitutes urban open space are places just like the neighborhood depicted in this film. Cuts through the hood. What should happen at the intersection of “sustainable urbanism” and environmental justice? 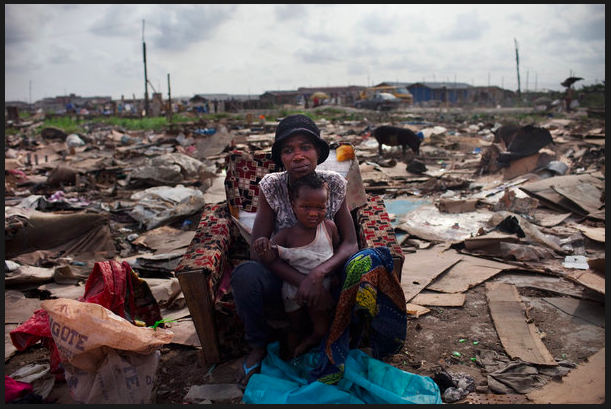 What is our duty to these landscapes, these neighborhoods, these people? Alan Spearman gives us a gift, an insight into the lives of people that the middle and upper classes never encounter, even if they live nearby (and they do). Landscape architects, city planners, urban designers, urban ecologists, and other professionals who claim the city as their subject also need to grapple with the issues raised in this film, IMHO. Many said they were given 20 minutes, at most, to pack up their belongings. What little that could be salvaged was piled along a railway line running along Badia’s edge. “They were flogging me,” said Charity Julius, 27 and pregnant. She said she ran into her dwelling to fetch her baby boy, and once he was safely out, she ran back to gather as many possessions as she could. The police did not like that and beat her, she said, showing a bruise on her right arm as evidence. The Lagos state commissioner for housing, Adedeji Olatubosun Jeje, provided a different version of events.